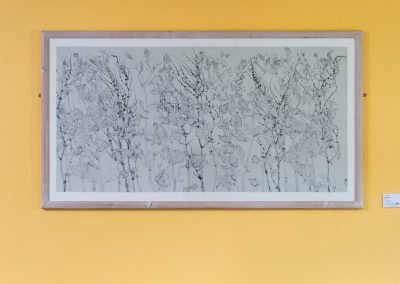 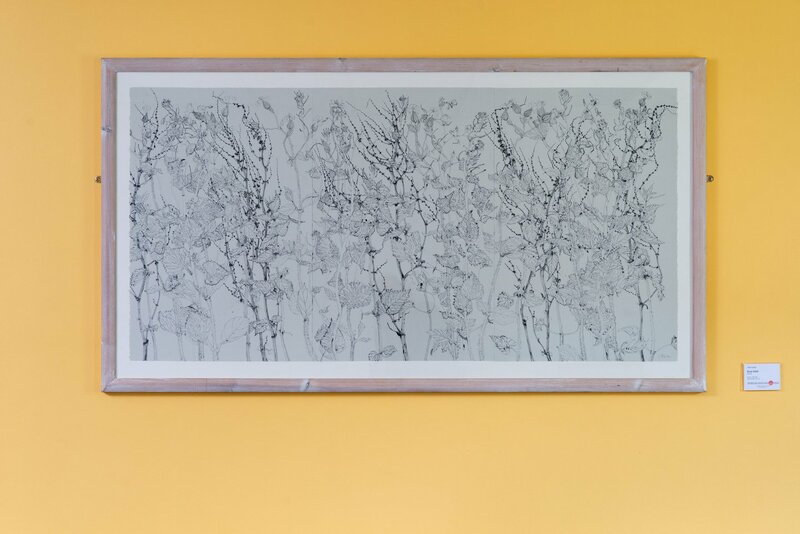 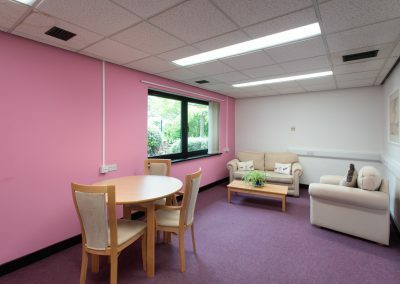 In 2017 staff at the Recovery Resource Centre (RRC) in Royal Cornhill Hospital asked GHAT to assist with a project that looked at the environment of the unit. 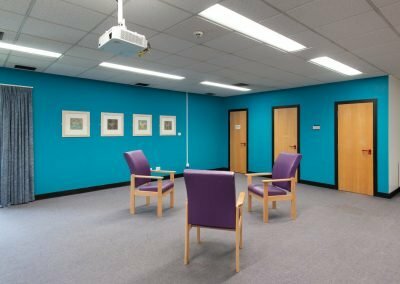 They were looking for a solution to create a more inviting environment through the use of colour, wayfinding and the GHAT Art Collection. 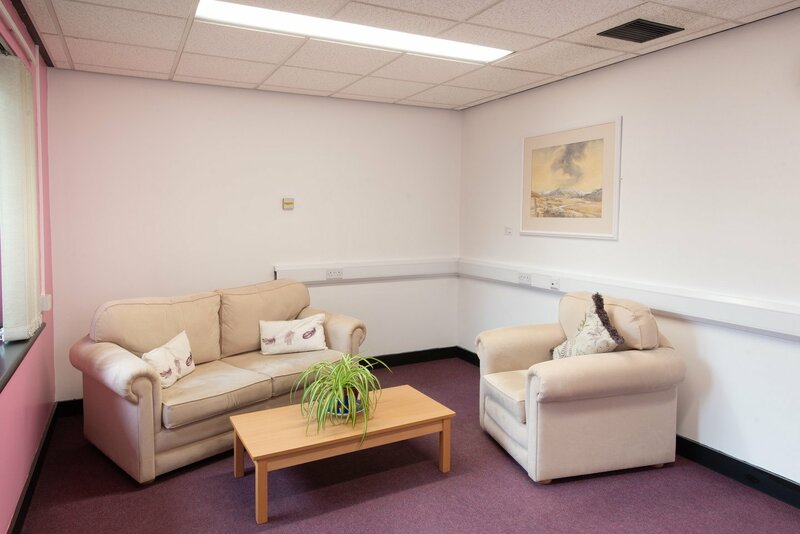 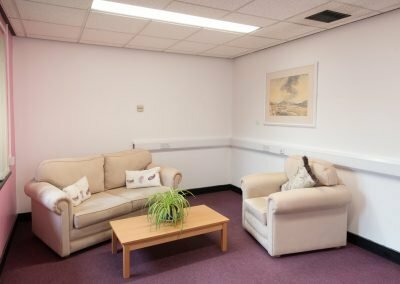 The key areas that were identified for enhancement were the group rooms, waiting areas, interview rooms and the corridors. 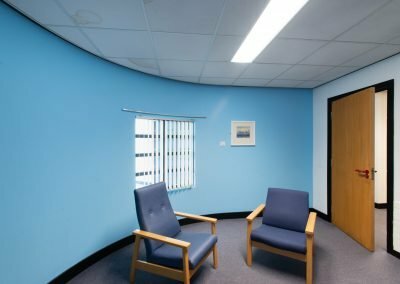 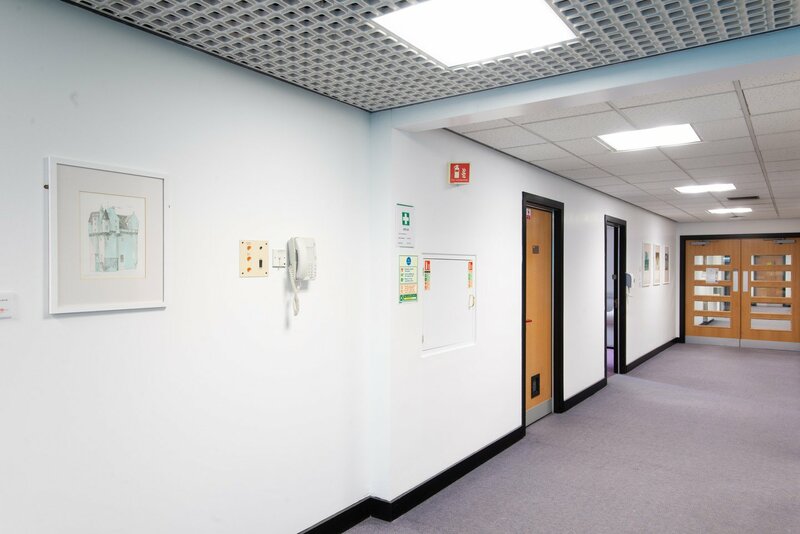 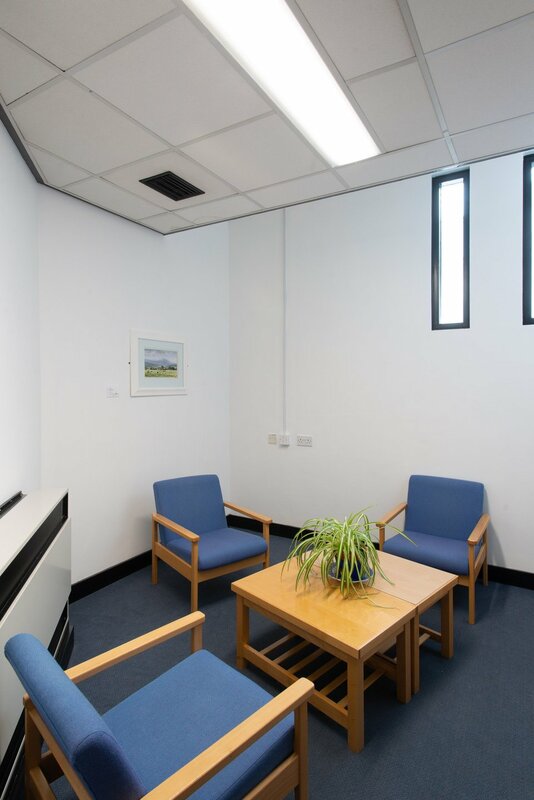 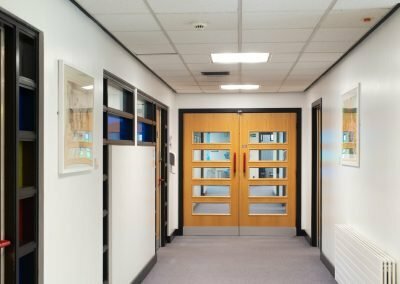 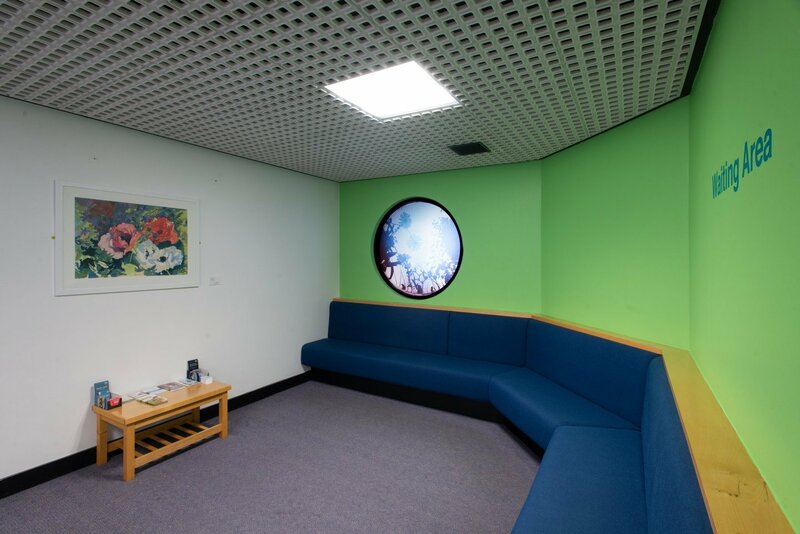 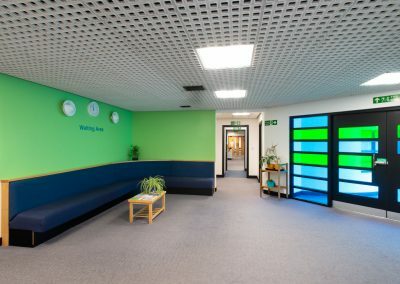 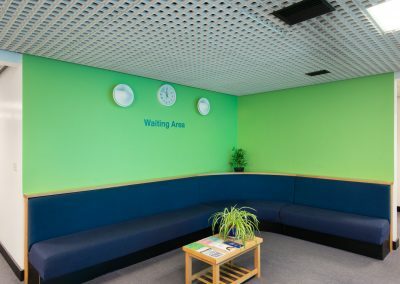 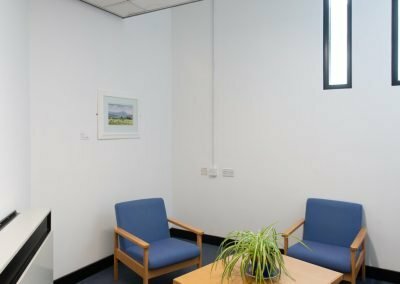 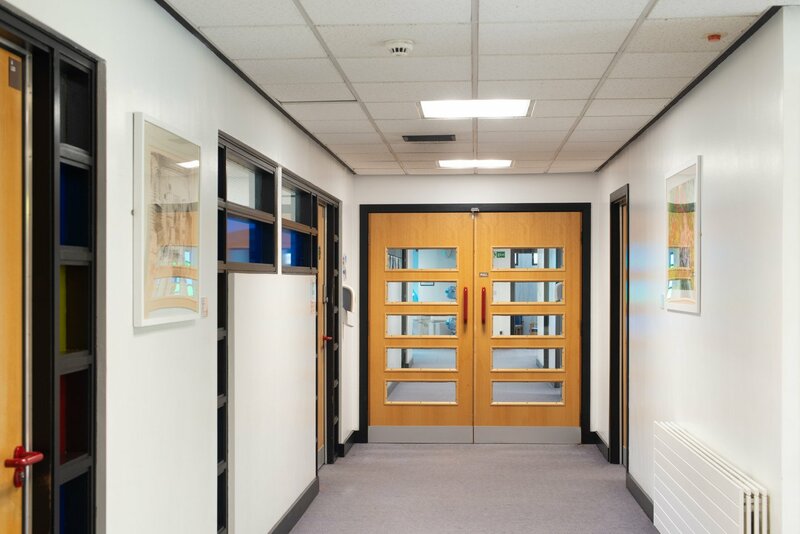 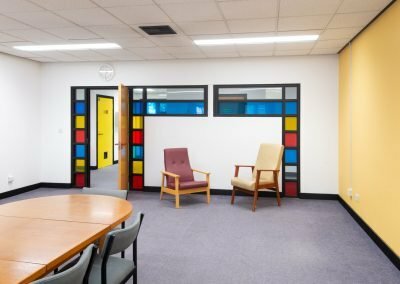 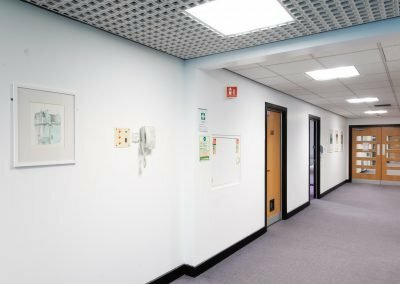 Due to the amount of windows looking into rooms and the waiting areas from the corridor there was a need to create a solution which would give the users of the unit more privacy while not blocking out the natural daylight. 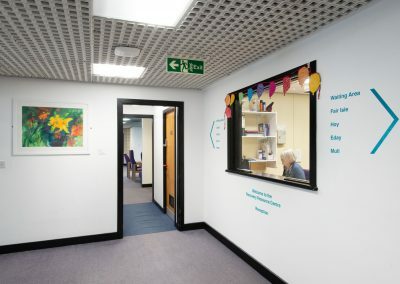 After a series of workshops with the staff, a core arts group was set up to gather feedback from all the staff as the project progressed. From the initial consultations with the staff and users of RRC, the theme of Scottish Islands was decided on to reflect the links with the remoter communities which RRC caters for and the demographic of the users of the unit. 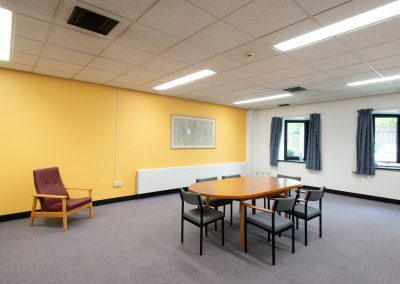 Each room was renamed after one of the Scottish Islands. 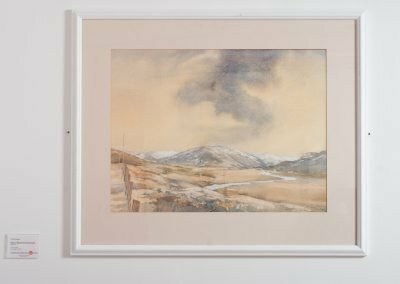 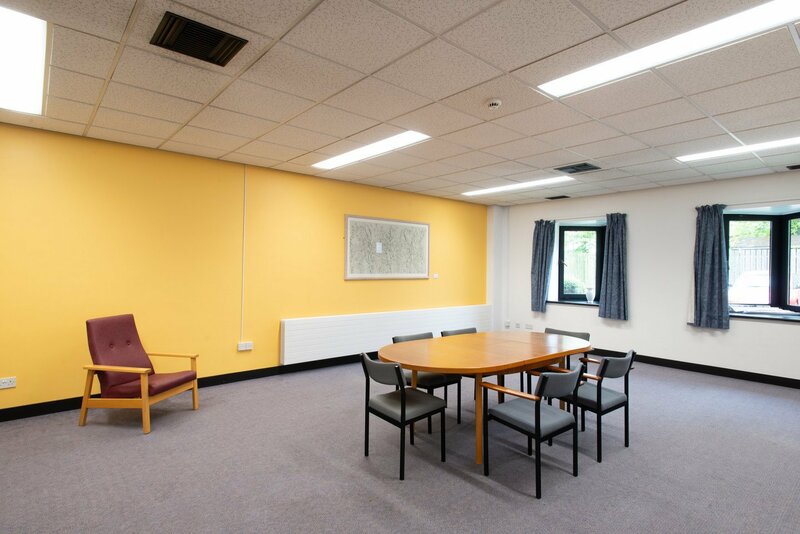 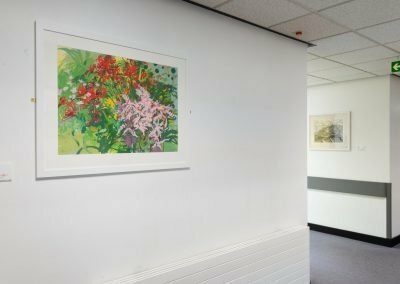 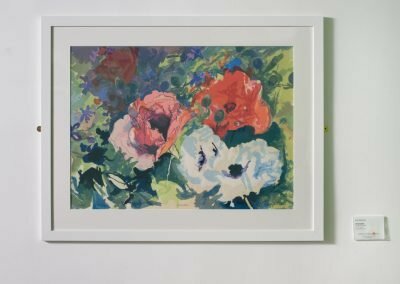 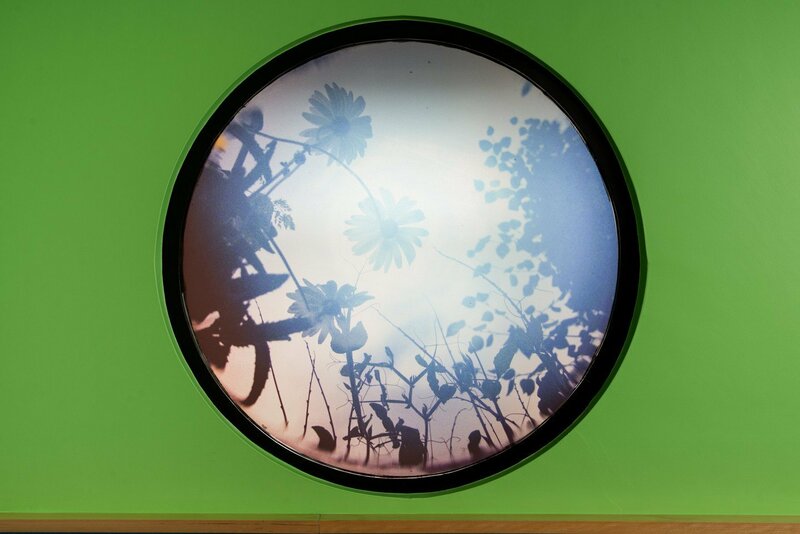 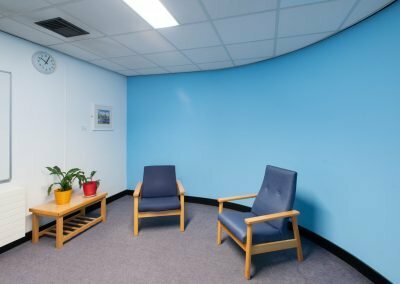 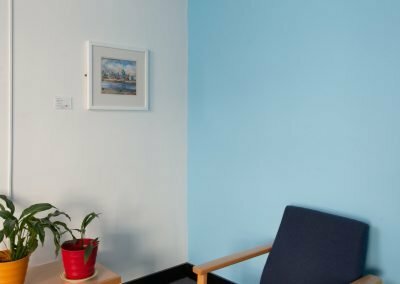 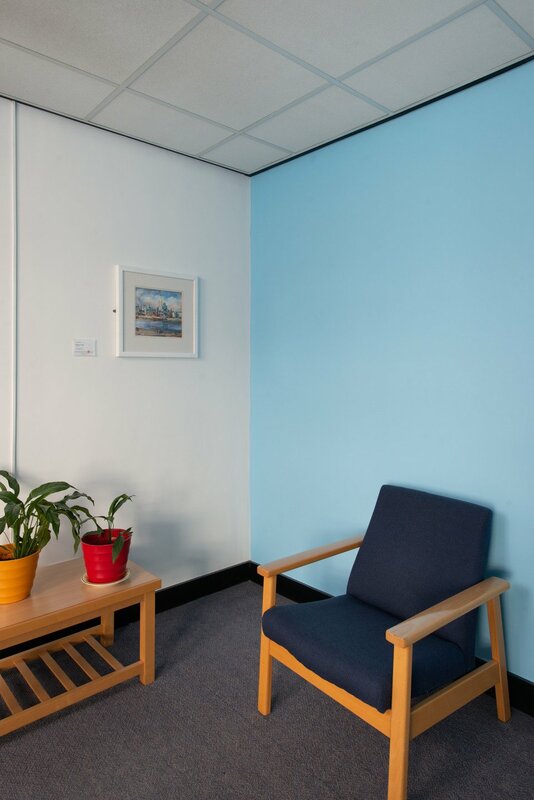 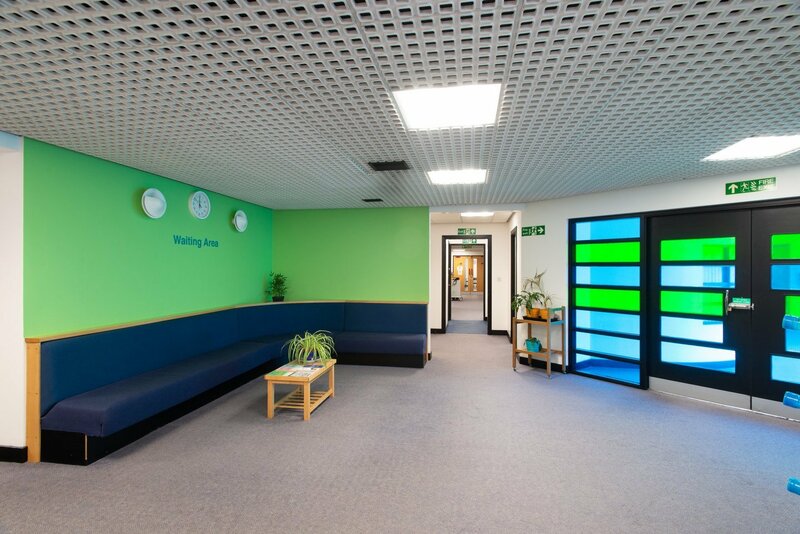 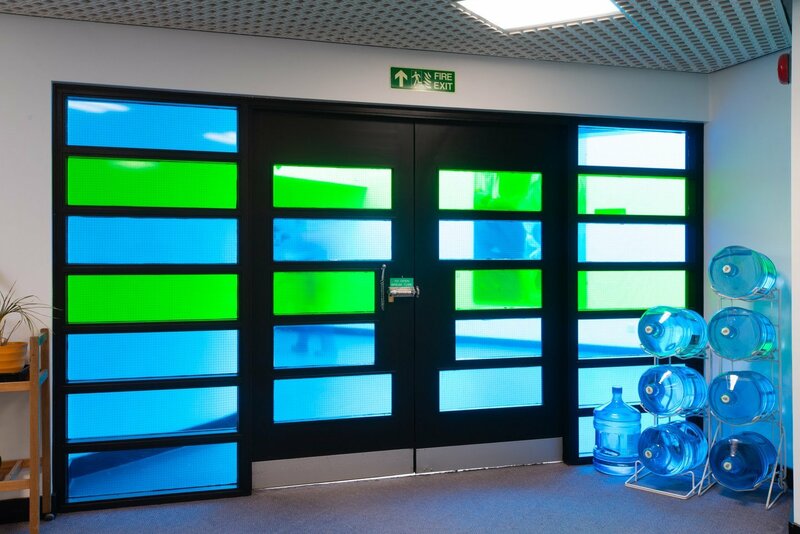 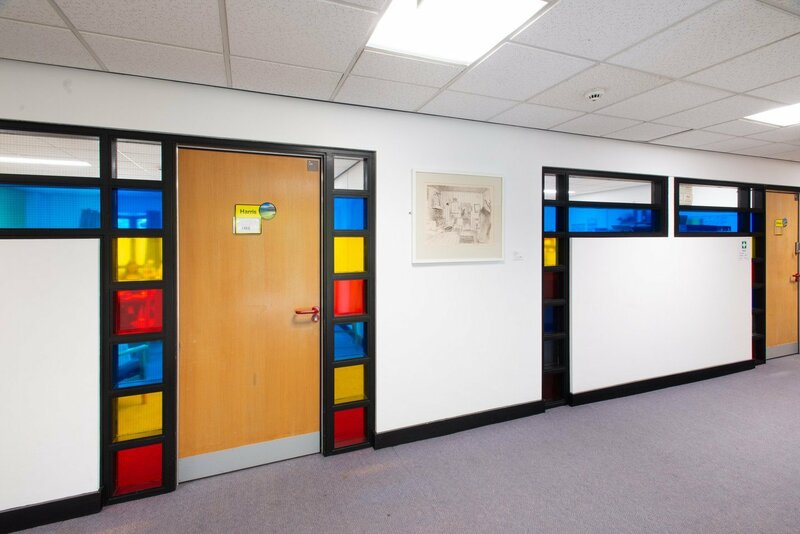 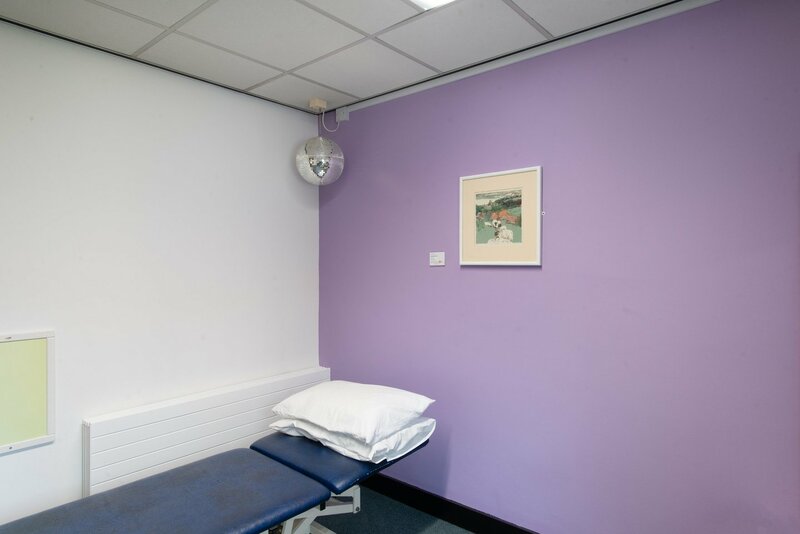 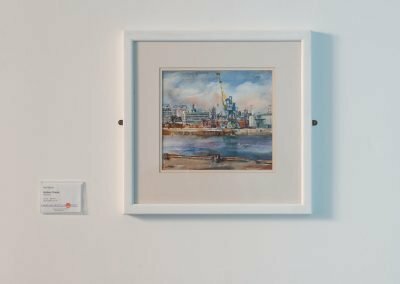 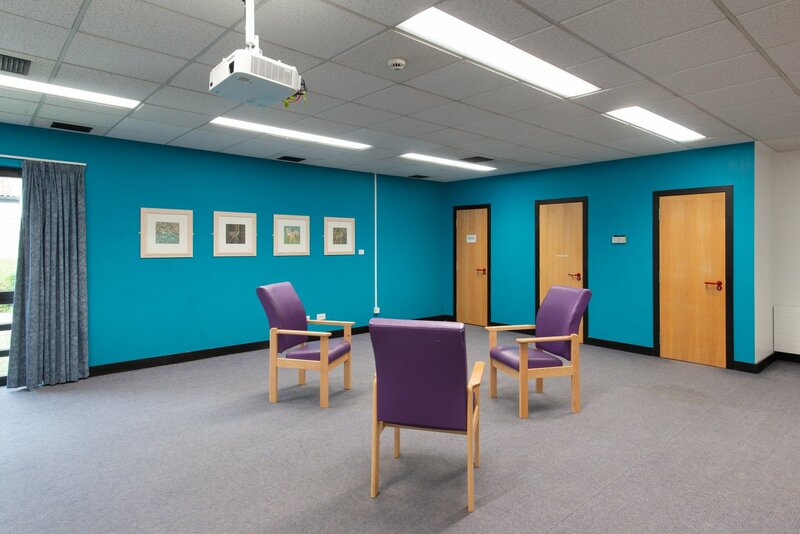 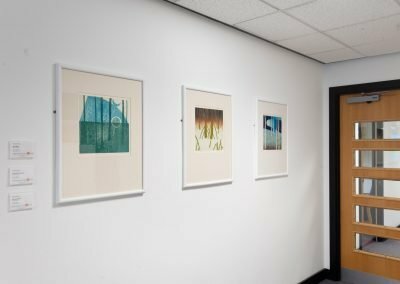 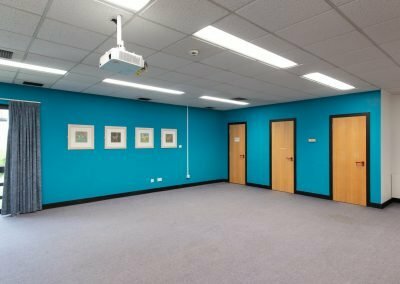 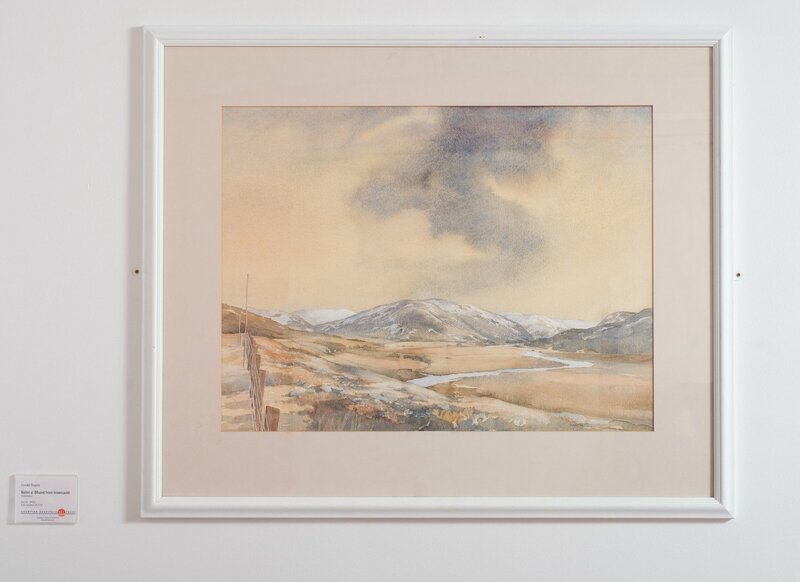 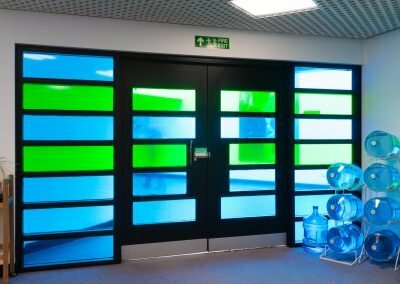 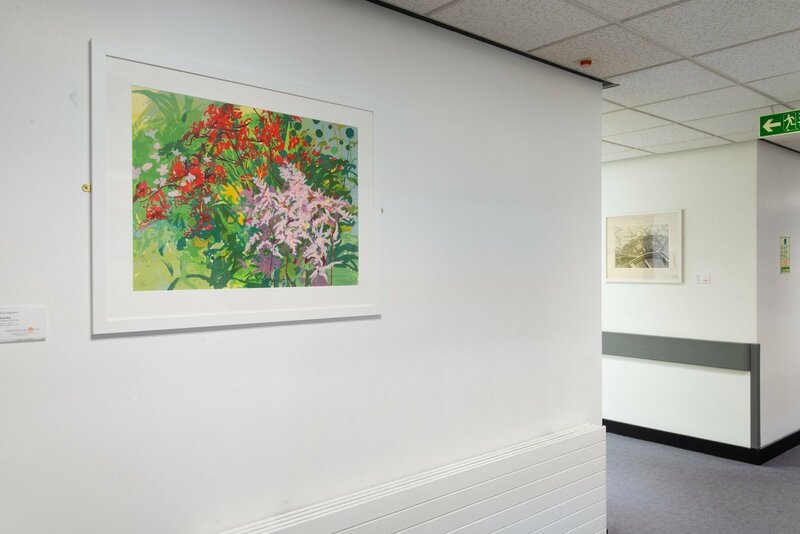 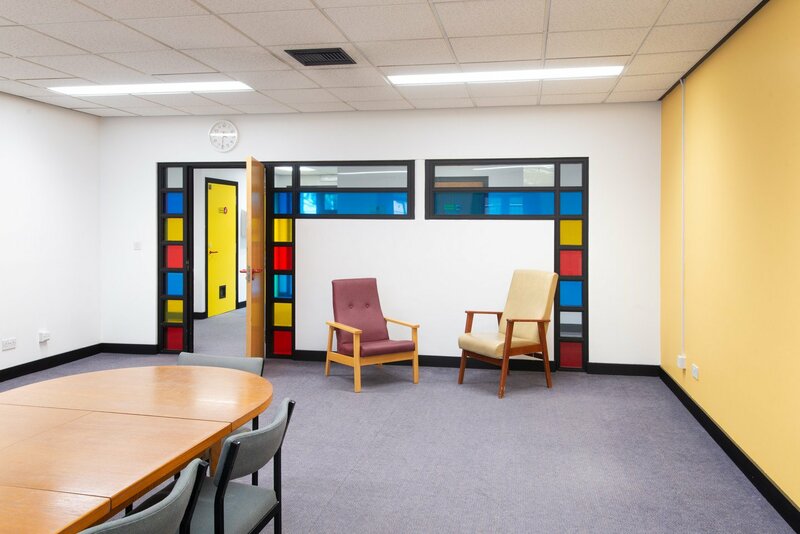 The arts group worked closely with GHAT on introducing colour to each room which reflected the colours associated with each island, through the use of paint and translucent vinyl. 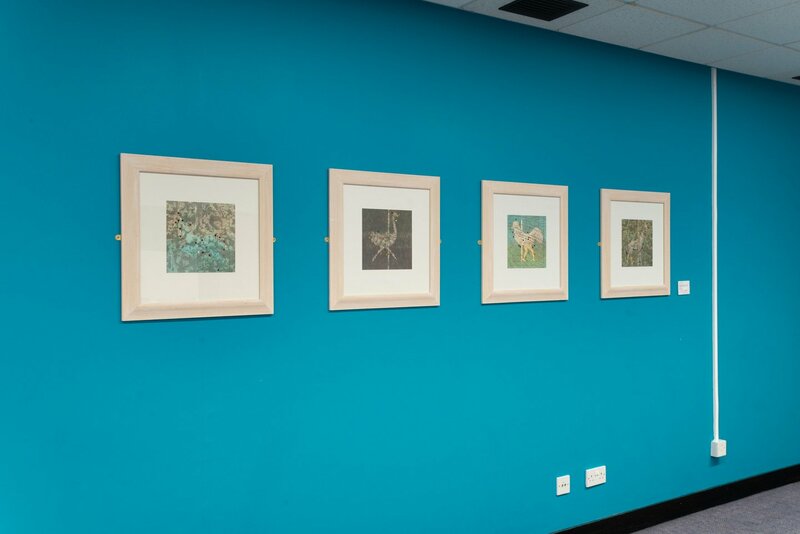 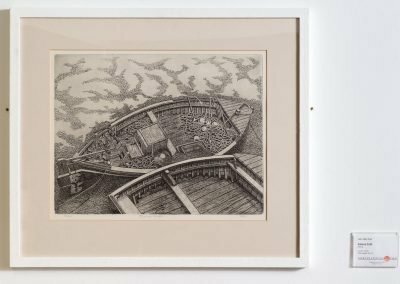 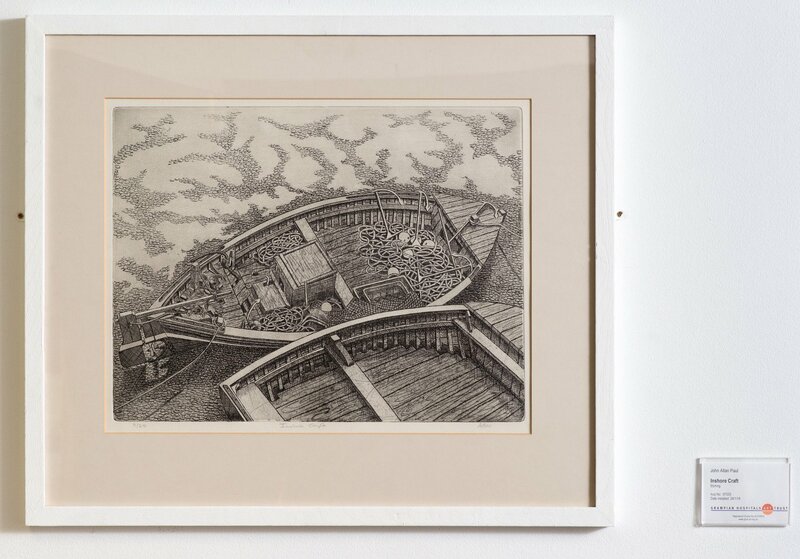 The staff then chose work from the GHAT Art Collection along the same theme. 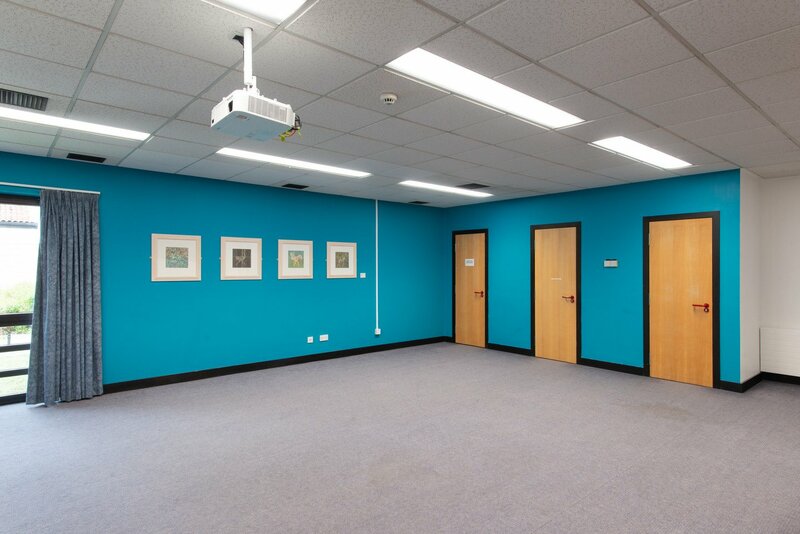 The project was completed April 2018.